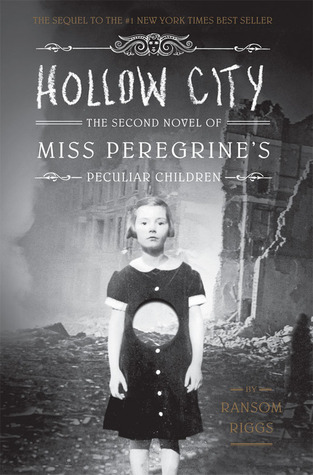 But once you’re caught up, Hollow City is a worthy second installment. Dropping directly into the action without a breather, we find the children having just rescued Miss Peregrine and rowing their way from their destroyed island to Mainland England. The gast have infiltrated the German army and are after the children in submarines and planes. The children’s flight takes them from a hidden Peculiar menagerie to a Gyspy camp to the heart of London and their only hope of saving Miss Peregrine before she’s trapped in bird form forever. Like its predecessor, the immediate draw of Hollow City is Riggs’s use of very strange antique photographs he’s culled from flea markets and estate sales. These creepy (one shows a girl floating off the ground, another a child with a mouth on the back of her head) and atmospheric (dead horses strewn along a country road, trees growing from a skull-shaped island) images served as Riggss’ guide for shaping his story. He had the photos first, and he wrote the story from them. The book is positively peppered with pictures, and they are very much a part of the story, adding to the tone and narrative. While the story could stand alone without them, it would be the poorer for it. You’ll want to read this book to see what visual the next page brings. 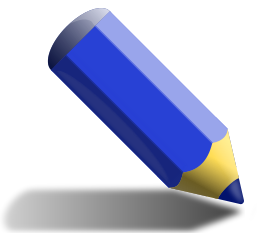 The writing is cinematic in description and scope. This series will easily be adapted into movies (it’s already been optioned by Tim Burton). In this one, Riggs wisely weeds out a few Peculiar characters for the flight to London. By concentrating on a smaller number of them, the children are given a chance to stand on their own and escape one-dimensional characterization. Free from their safe, familiar time loop and the watchful eye of their ymbryne in human form, the children have a chance to show fear and bravery, as well as their advanced age (most of them are pushing a hundred, though they still look and mostly act like children). They’re able to grow, and so are the hollowgast, whose powers and motivations become clearer and scarier in this volume. The weak note is Jacob, whose thoughts and dialogue are often too stiff and adult. Jacob is meant to be a teenaged boy from our present, but he comes across as stilted and not quite real. While this formal voice works well for the children, who have been living in 1940 for decades, it feels false in Jacob And we never get as clear a picture of him as we do of the people surrounding him. This stiltedness sometimes extends to the shape the story takes, as well. Because the story is formed around existing strange pictures, plot points at times feel artificial, taking the story to a place it might not organically have gone if such a photograph didn’t exist and Riggs didn’t want to include it. While this book tends toward the artificial and at times slightly awkward because of its incorporation of preexisting photographs, it’s nevertheless a highly worthwhile strange, escapist read. Its world is well imagined, its circumstances dire. Like the first book, this one ends on a big cliffhanger. I didn’t see the ending coming at all, and I can’t wait to find out what happens next. Available at Amazon, Indigo, and at fine independent bookstores everywhere via Indiebound. Book provided to me by Quirk Books in exchange for a fair review. How kind of you! Thank you.